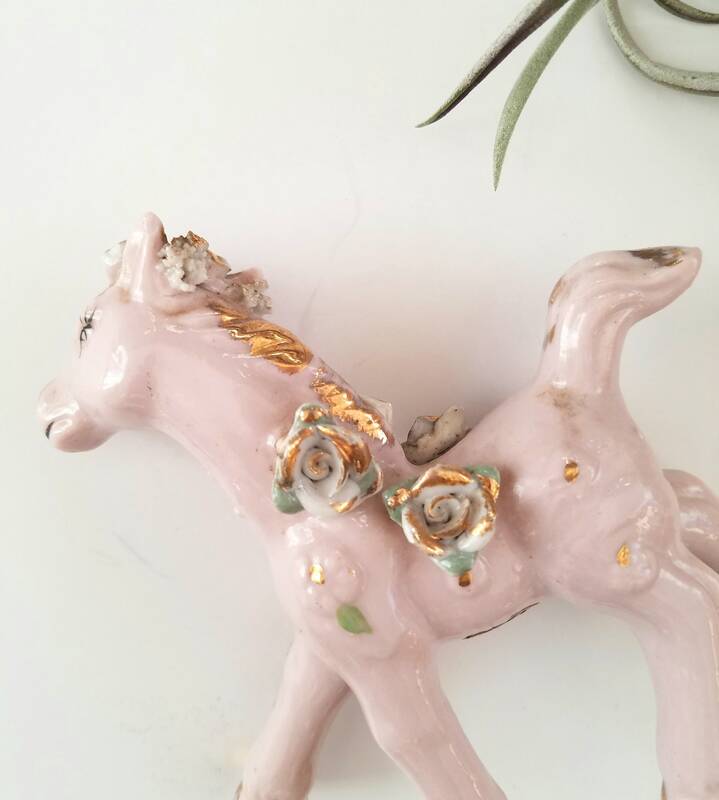 This is the perfect gift for that girly girl who loves horses or unicorns. 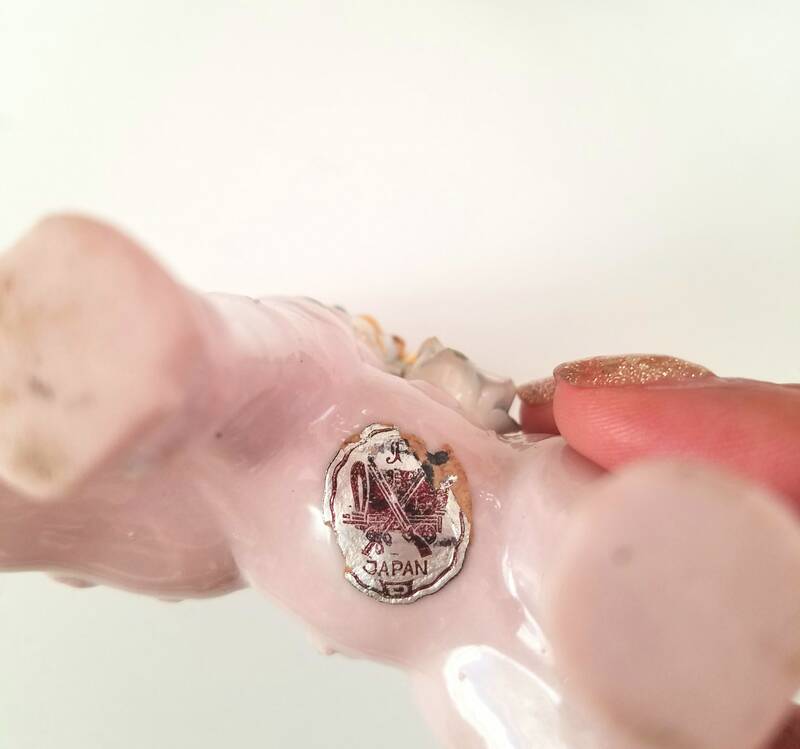 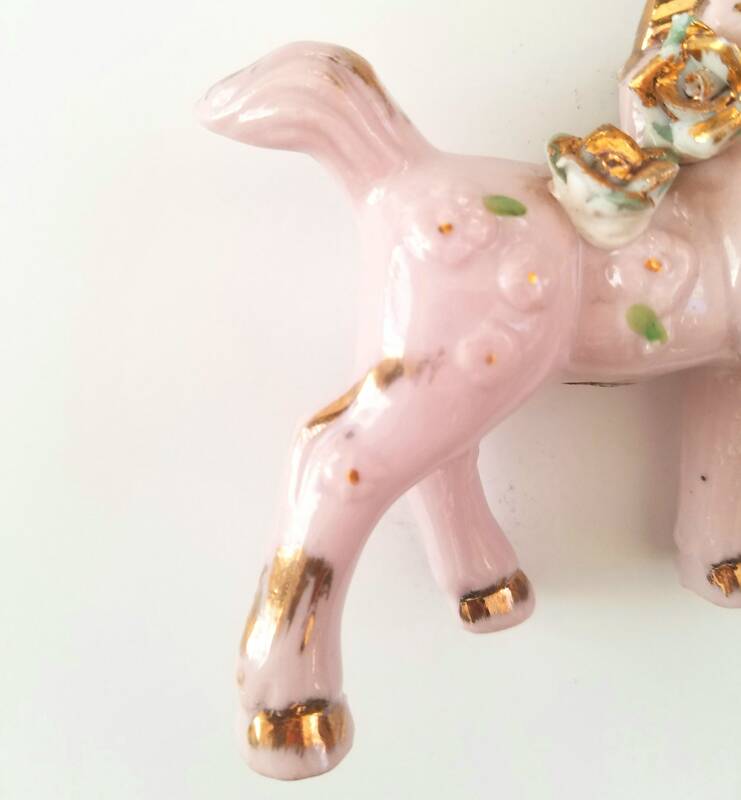 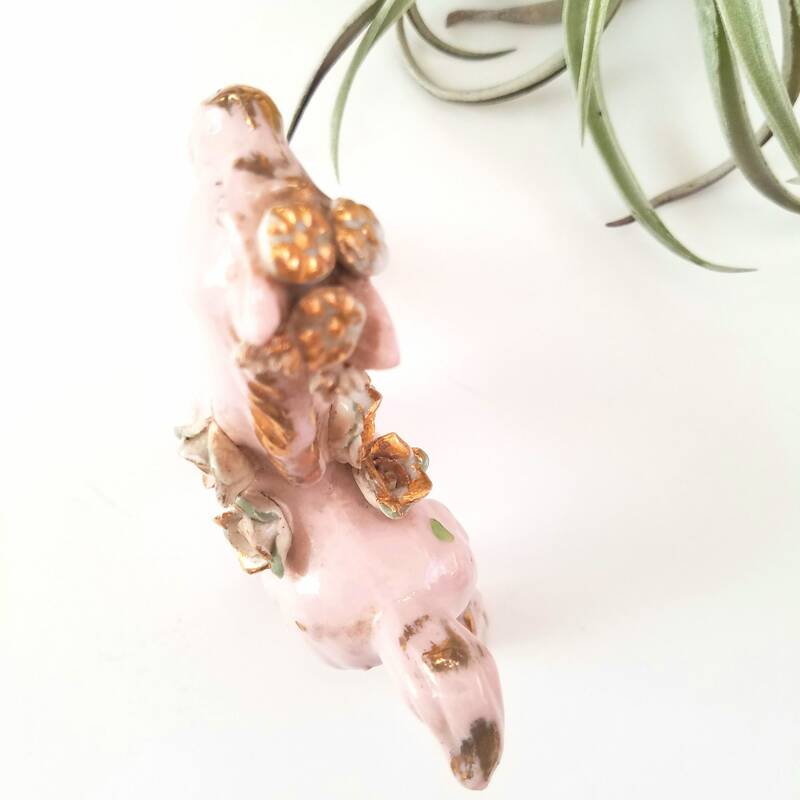 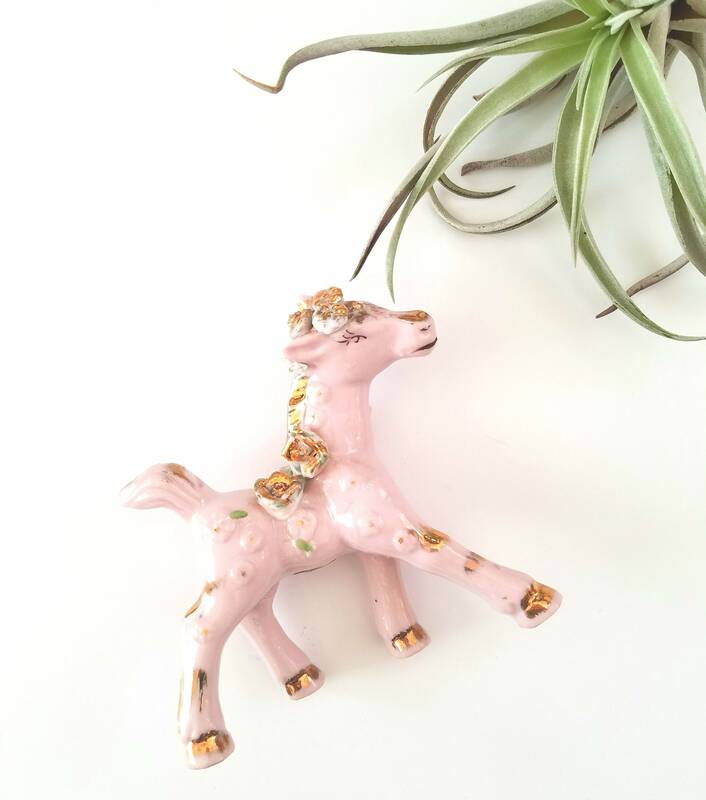 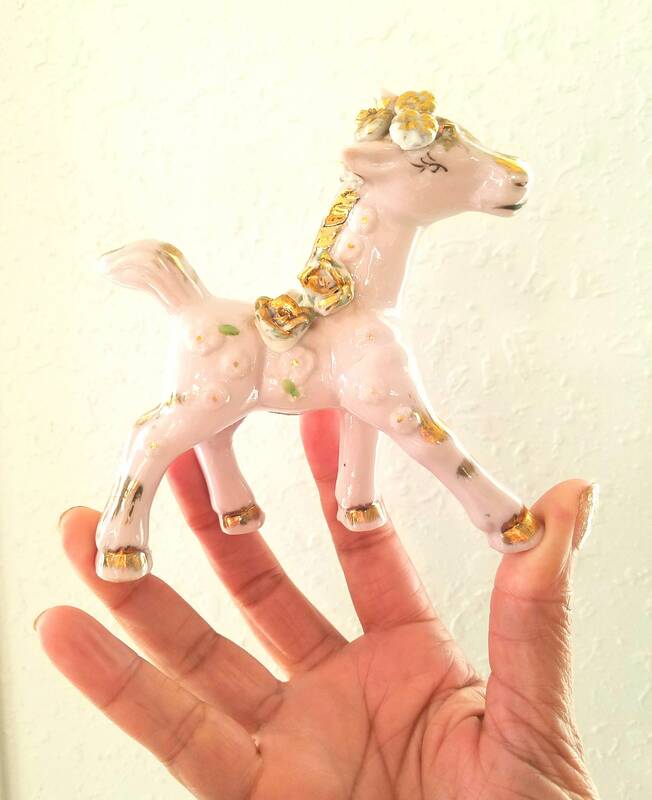 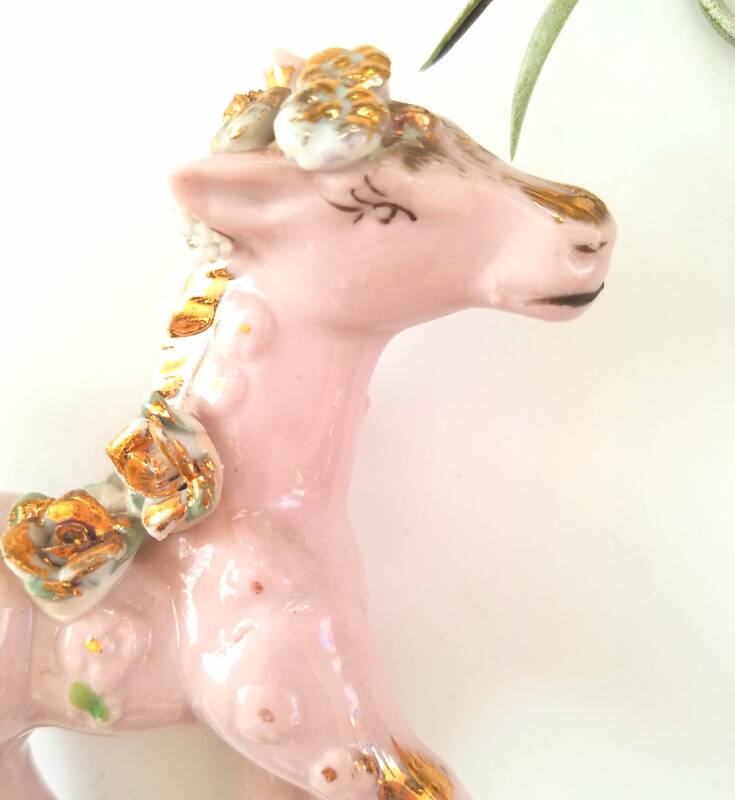 Beautiful vintage pink horse with gold flowers. 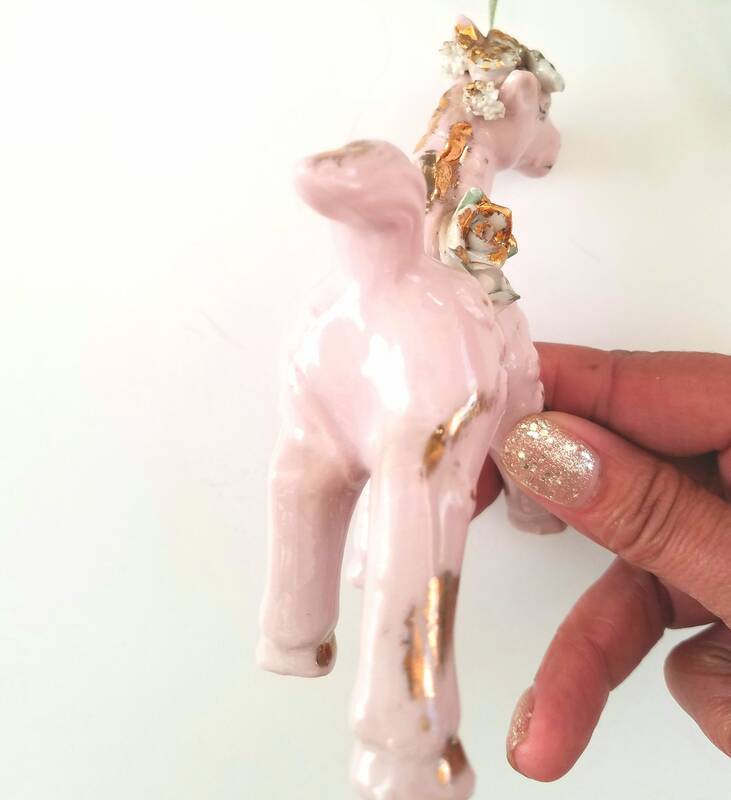 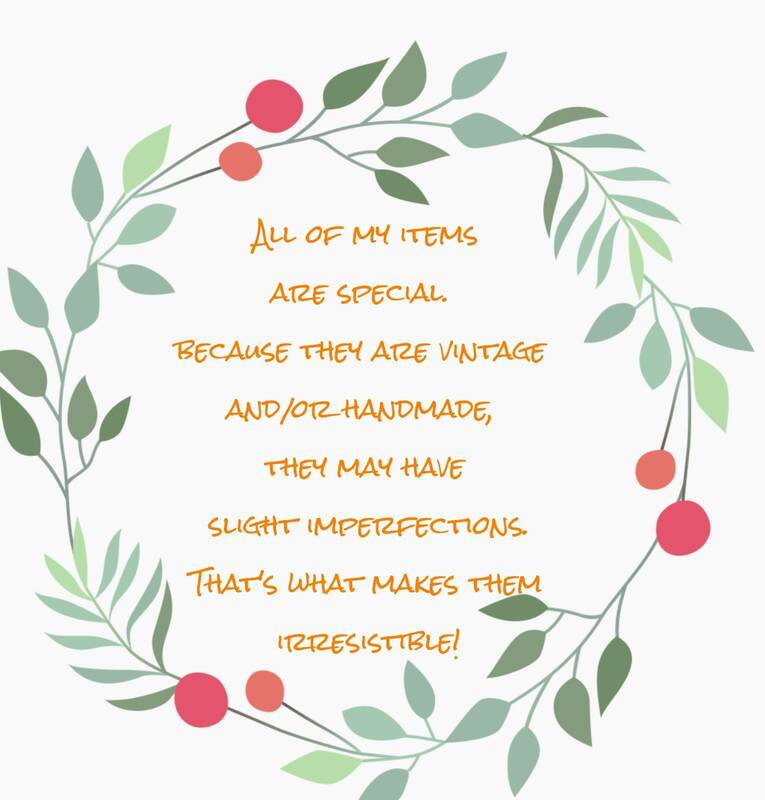 It has some fading due to age but otherwise in great condition with no cracks or chips.